better time to get your home insulated. Where to insulate your home? Do you want to know where to insulate your home to get the best result? When you hear of insulation you naturally think about insulating your roof. You may not realise that while roof insulation makes a big difference, over 50% of your home’s heat can be lost through your walls and floors. The walls represent the home’s largest exterior surface area and can be responsible for most of your home’s heat loss. 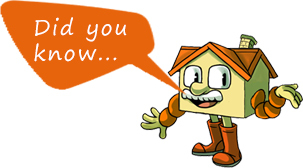 Most New Zealand homes are built with a space (called a cavity) between the internal and external walls. By drilling a small hole in the exterior wall, you can fill the cavity and that helps create a barrier between the outside and inside air temperatures. We recommend CosyWall for filling your wall cavity. CosyWall is completely safe and poses no health risks. It has a high R-values and is extremely durable, lasting up to 50 years. Heat rises and can easily escape through an uninsulated roof. Installing roof insulation is one of the most cost effective ways to improve the energy efficiency of your home. You can choose from a range of blankets, batts or mineral wool to insulate your roof, all of which can be easily installed into your roof cavity. We recommend Jet Stream Max for most New Zealand homes. Jet Stream Max is a soft mineral wool product which is blown into the roof cavity by a professional installer. Jet Stream Max fills up all the gaps which are often left by blankets or batts and provides a complete roof insulation solution. Many New Zealand houses have a suspended timber floor which heat can escape through. You can easily insulate your floors by placing insulation blankets underneath the floor joists. We recommend Warmafloor Blankets for insulating your floors. Warmafloor has an expected life of more than 50 years, is easy to install and helps keep your house comfortable all year round.